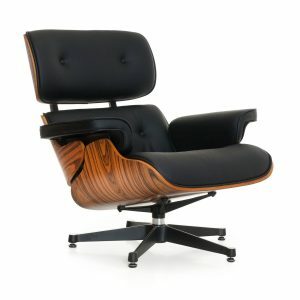 Lounge Chair of Charles & Ray Eames, is a creation that has been developped during various years. The idea was born with the objective to achieve an d version of the antique English club armchair. 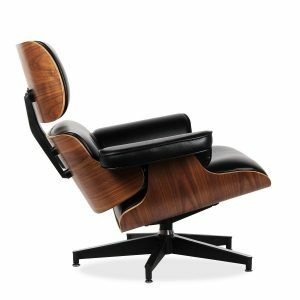 The result was the Charles Eames armchair, a wide armchair that combines comfort with the use of quality materials and work capacities. 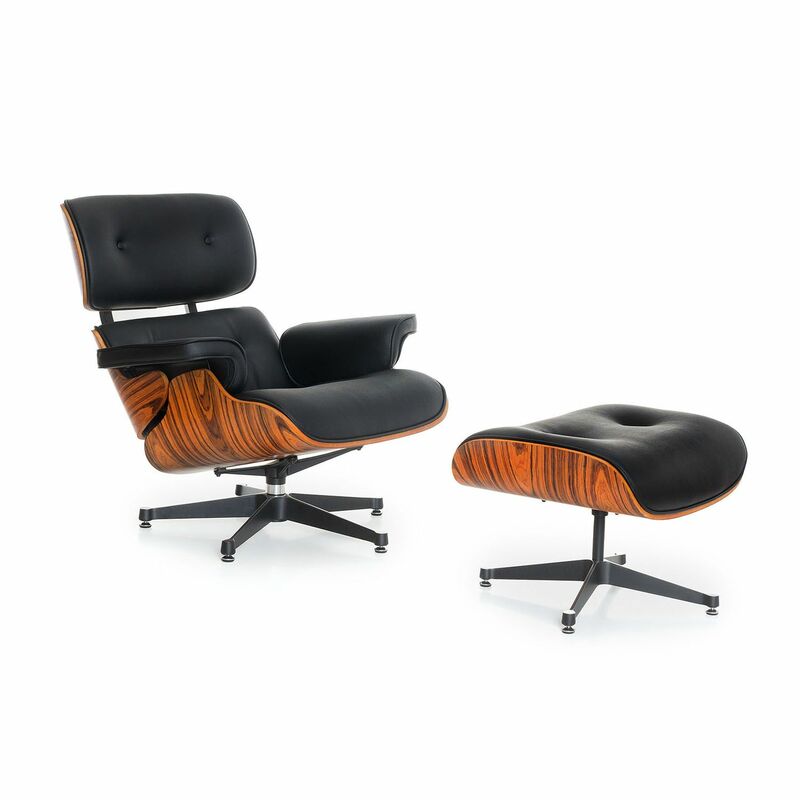 The Charles Eames armchair is inspired by the design of 1956 being lighter, more elegant and modern than the conventional club armchairs without forgetting the comfort. These characteristics convert the Charles Eames armchair into a classic of the history of the modern furniture and into one of the most famous designs of Charles & Ray Eames. 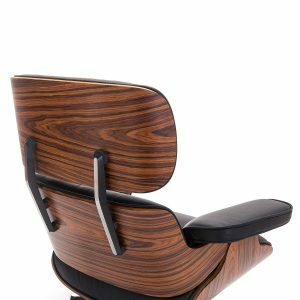 Made of first quality grain leather and walnut wooden structure with aluminium base the Charles Eames armchair is a unique piece with perfect high-quality finish versions. In this edition the proportions are to 100% maintained identical to the original model. 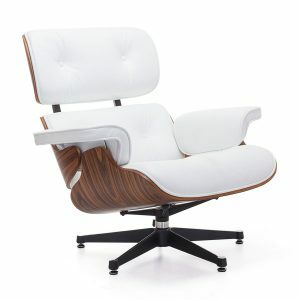 A classic of avant-garde design that creates a casual and unique ambiance in your home or workplace. On request, you can order other wood types and special leathers.